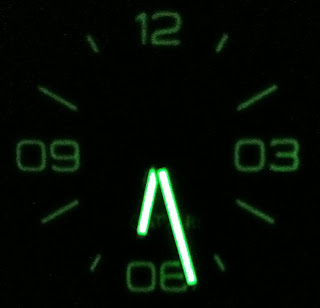 Evidently the hands are SuperLuminova Coated but the dial is not. Not really an issue as the watch is not a diver watch. Welcome to the blog. Yes, it is a nice watch. It is a Magrette Regattare Bronze and I like it.